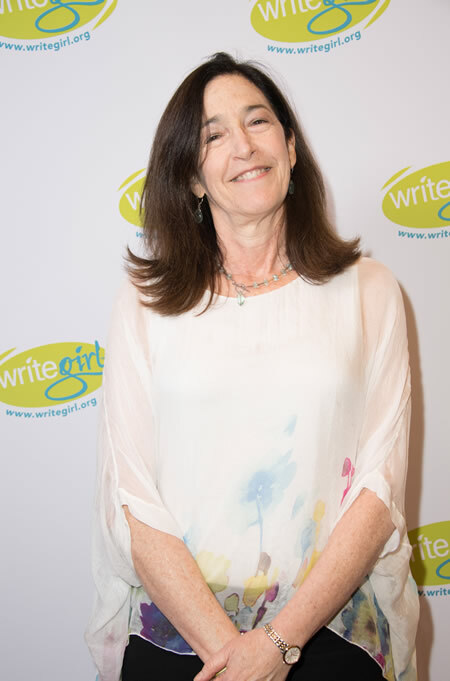 Photo: Josann McGibbon before the “Lights, Camera, WriteGirl!” event at the Linnwood Dunn Theater in Hollywood, CA on April 6. Image provided by & copyright © Aaron Poole / Academy of Motion Picture Arts and Sciences. Photo: Narrative film winner Hua Tong before the 45th Annual Student Academy Awards on Thursday, October 11, in Beverly Hills. Image provided by & copyright © Richard Harbaugh / Academy of Motion Picture Arts and Sciences. Photo: Lauren Graham before the “Lights, Camera, WriteGirl!” event at the Linnwood Dunn Theater in Hollywood, CA on April 6. Image provided by & copyright © Aaron Poole / Academy of Motion Picture Arts and Sciences. 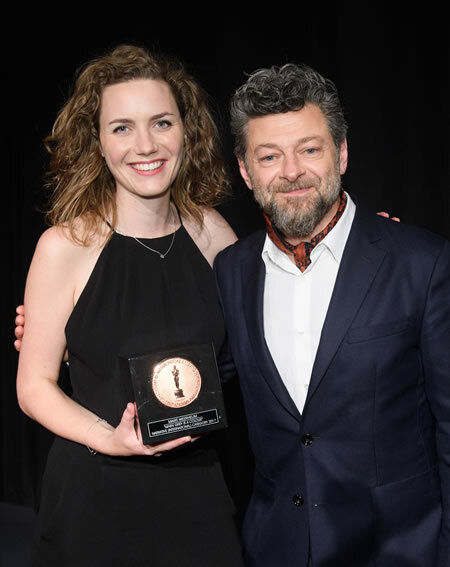 Photo: Marit Weerheijm, winner of the bronze medal in the narrative film category, with actor Andy Serkis during the 44th Annual Student Academy Awards on Thursday, October 12, in Beverly Hills. Image provided by & copyright © Matt Petit / Academy of Motion Picture Arts and Sciences. LOS ANGELES, CA - The Academy is now accepting entries for its 2019 Student Academy Awards competition. All Student Academy Award winners become eligible for Oscars consideration. The entry deadline for submissions is June 1, 2019. The U.S. competition is open to all full-time undergraduate and graduate students who make their films within the curricular structure of an eligible accredited institution. The international competition allows two options for students at international film schools to submit their films. In addition to “CILECT” member schools presenting one student film per international film school category, international students may now enter films that qualify through film festivals recognized by the Student Academy Awards Executive Committee. For the fifth year, students are asked to submit their films online using FilmFreeway, a widely used festival, and competition platform.